Video telematics provider Lytx reported it signed a number of major clients last year, including Walmart Inc. and U.S. Xpress Enterprises, an indication of the growing acceptance by fleets of installing cameras on their trucks as a way to reduce accidents, increase road safety and track driver behavior. Signing the world’s largest retailer Walmart is a coup for Lytx while Chattanooga, Tenn.-based U.S. Xpress is the largest privately held truckload carrier in North America. The deal with Walmart covers its private fleet under a multiyear contract, said David Riordan, chief client officer with Lytx. Walmart ranks No. 3 on the Transport Topics list of the Top 100 private carriers in North America with nearly 6,400 tractors. U.S. Xpress ranks No. 21 on the Transport Topics list of the Top 100 for-hire carriers in North America with 6,100 company-owned tractors. Other major fleet clients that Lytx signed in 2017 include CRST International, Roehl Transport, Cardinal Logistics Management, USA Truck and Hermes Parcelnet Ltd., a parcel delivery firm based in the United States. Grocery chain Albertsons Cos. and Coca Cola Bottling Co. Consolidated are using its products, according to Lytx. The customer wins come as Lytx celebrates its 20th year anniversary this year. 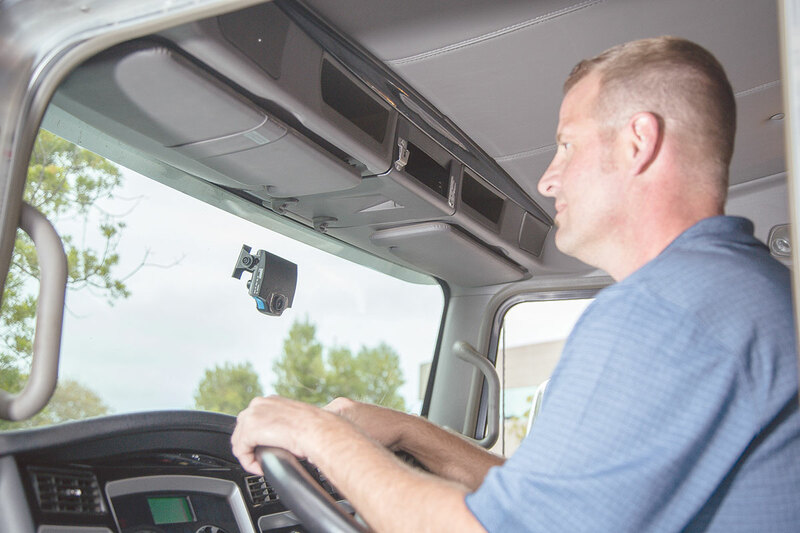 The San Diego-based company pioneered the use of video cameras on trucks to record driver performance, road conditions and interactions with other drivers. Lytx reports that it has sold more than 500,000 subscriptions to its services, protecting more than 850,000 drivers. In 2017, the company delivered savings of more than $494 million on claims costs and analyzed more than 20 billion miles of driving data. Analyst Frost & Sullivan has reported the company holds an outsized share of its market with much of the remaining business held by its San Diego-based rival SmartDrive Systems. Lytx was purchased in 2016 by Chicago-based private equity investor GTCR for $500 million. Lytx CEO Brandon Nixon said the company could generate revenue of $200 million in 2017 leading to speculation the firm could choose eventually to conduct an initial public offering of stock. But Riordan downplayed that possibility in 2018. “That’s not a factor this year. We aren’t focused on that,” said Riordan, who noted that GTCR’s business model is to make long-term investments. That and its $500 million outlay has given Lytx the ability to grow in its current markets and branch into segments like transit, waste removal trucks and cable and utility vehicles, he said. Drivers have pushed back against the practice by some fleets to install driver-facing cameras in the truck’s cab, likening it to a boss filming an employee as they work. Riordan said that acceptance for internal cameras has grown in recent years and that internal and external cameras are installed on about 90% of the trucks where its systems are in use. “Fleets that use it well use it from a coaching perspective, not a punitive perspective,” Riordan said. Lytx’s major products include the DriveCam system that captures road incidents while its ActiveVision service helps fleets detect and address distracted and drowsy driving, both in real time and overtime. Lytx Video Services provides fleet managers with visibility into their fleet operations, both in the moment and up to a week later.